I just want to share where I get my photography tips for beginners like me. I got those from the book by Scott Kelby entitled The Digital Photography Books 1 to 3 (e-book). I am still reading and getting tips on the first book. 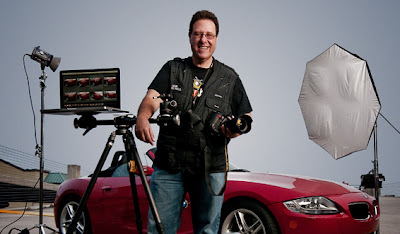 He was born in Florida and residing in Tampa Bay Area, a photographer, a designer and an award-winning author of more than 50 books about digital photography, Photoshop Training DVDs and online courses. Dozens of his books were translated into different languages. I will be lucky enough if I can have at least 1 of his book. In 2007, he created Kelby Media Group, a software training, education and publishing firm wherein he was the president. He is also a teacher on Photoshop and photography at KelbyTraining.com. He co-founded and was president of National Association of Photoshop Professionals (NAPP). He was also the Editor-in-Chief for Photoshop User, hosts several shows at KelbyTV.com and co-host of PhotoshopTV and Photoshop Tips-N-Tricks. With such achievements, I guess I will really learn a lot from him in photography. How about you, from whom did you get your photography tips? MTOs for this week are finally done! Craft-piration: Live a Colorful Life! Craft-piration: I made this for you!